Item Number: 178-1-04 12159 Actual Weight: 1 lb. Drop a card into package with a desiccant and seal. Open at receiving end and check card. 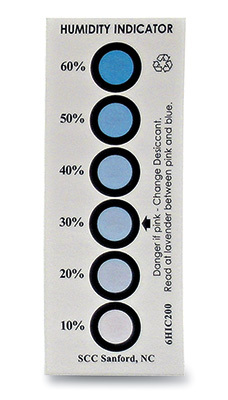 Color change from blue to pink identifies the presence of potentially damaging humidity levels.